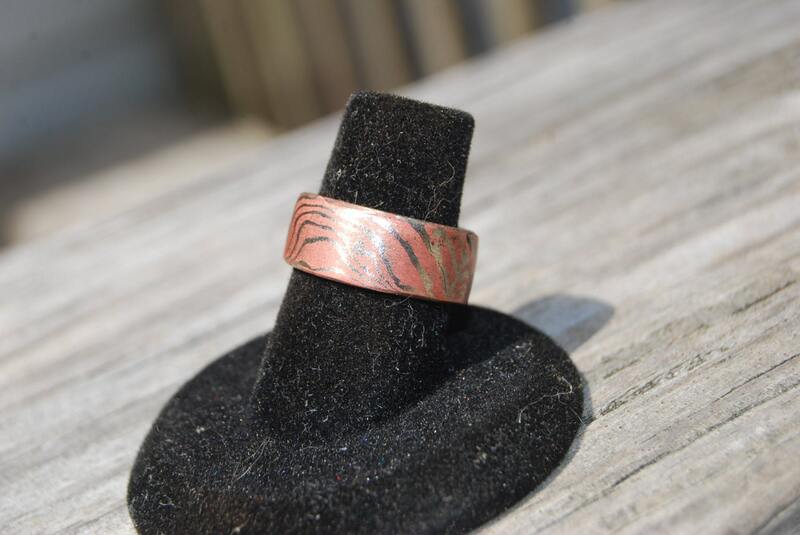 This beautiful ring is made using the ancient Japanese method of Mokume Gane. 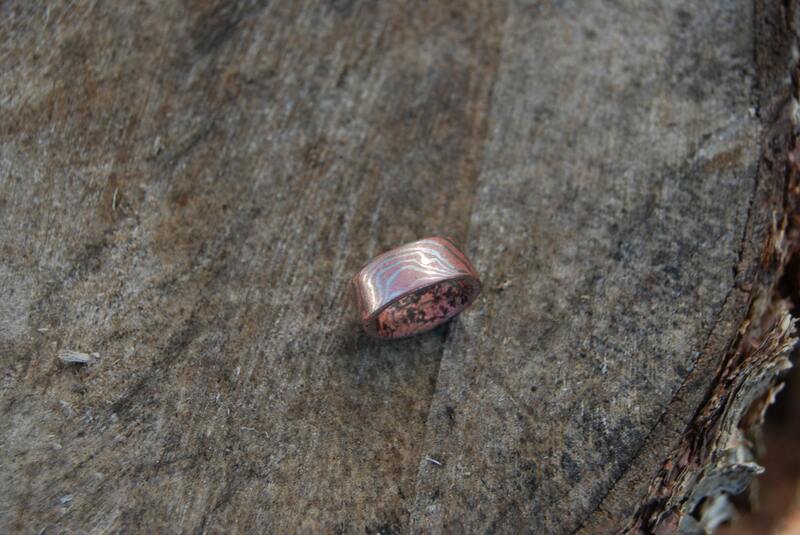 That is the blending of non-ferrous metals to create a beautiful pattern. 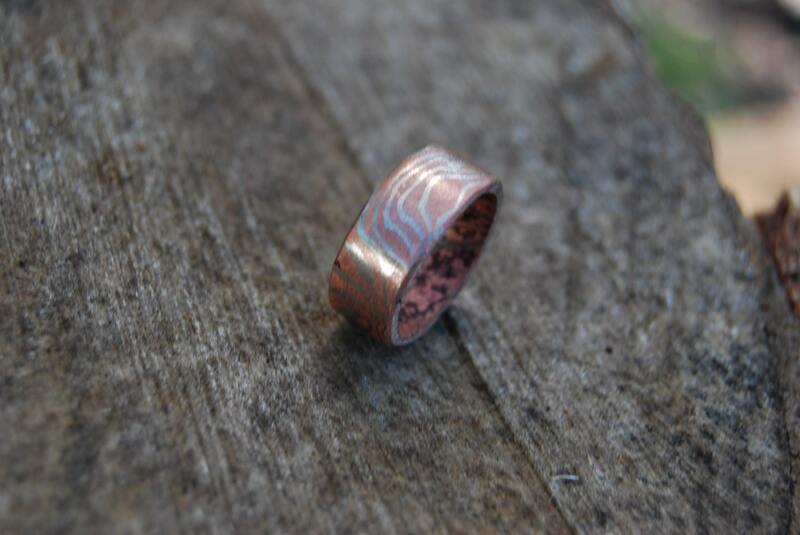 "Mokume Gane" roughly translates to wood grain metal. We can make a ring for you at nearly any size and width. 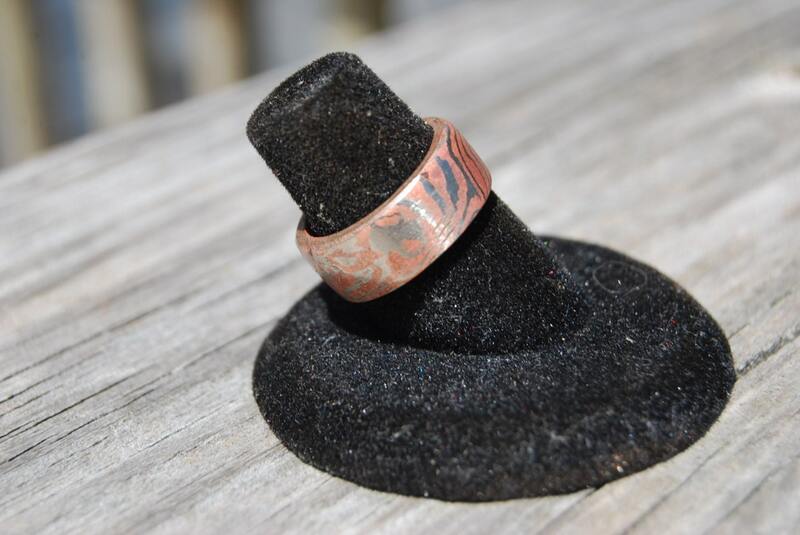 This particular ring is 8mm wide. Order yours today for a truly unique band. It's made from Copper and Nickel.